In response to an objection raised by the opposition, Tamil Nadu Chief Minister K Palaniswami said that the state government was firm on making sure that the proposed AIIMS was set up in the state. He also informed that the state government has suggested Thanjavur as the location for the Rs. 2000 crore cetral project. 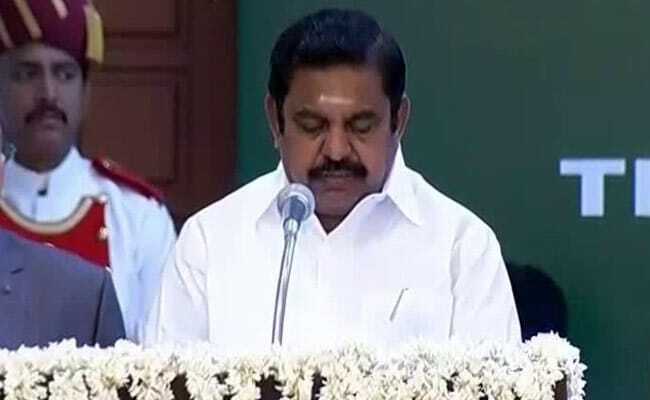 New Delhi: In response to an objection raised by the opposition, Tamil Nadu Chief Minister K Palaniswami said that the state government was firm on making sure that the proposed AIIMS was set up in the state. He also informed that the state government has suggested Thanjavur as the location for the Rs. 2000 crore cetral project. DMK Member and former Minister K Ponmudi raised the question as to why had the Chief Minister recently recommended to the centre that the institute be set up in Chengipatti in Thanjavur district. HE made particular mention to the demands within the ruling party, including that by a current minister that the project be set up in their respective districts. In 2015, a team from the centre had visited Thanjavur, Pudukottai, Madurai, Perundurai (Erode district) and Chengalpattu (Kancheepuram) to scout for prospective location for the 200-acre project. Palaniswami said that the members from the ruling party had sought the project in their district with only the benefit of the people there in their mind. The Central team had cited some shortcomings at each of the proposed locations and "there was an opinion" that Chengipatti in Thanjavur could meet all the requirements. The Chief Minister said that Chengipatti was recommended to the Centre in order to ensure a speedy implementation of the project and make sure that the project does not go out of Tamil Nadu. He added, "However, the Central government has not accepted that also.. They are considering setting up AIIMS in one of the locations mentioned by them (in the said districts)."